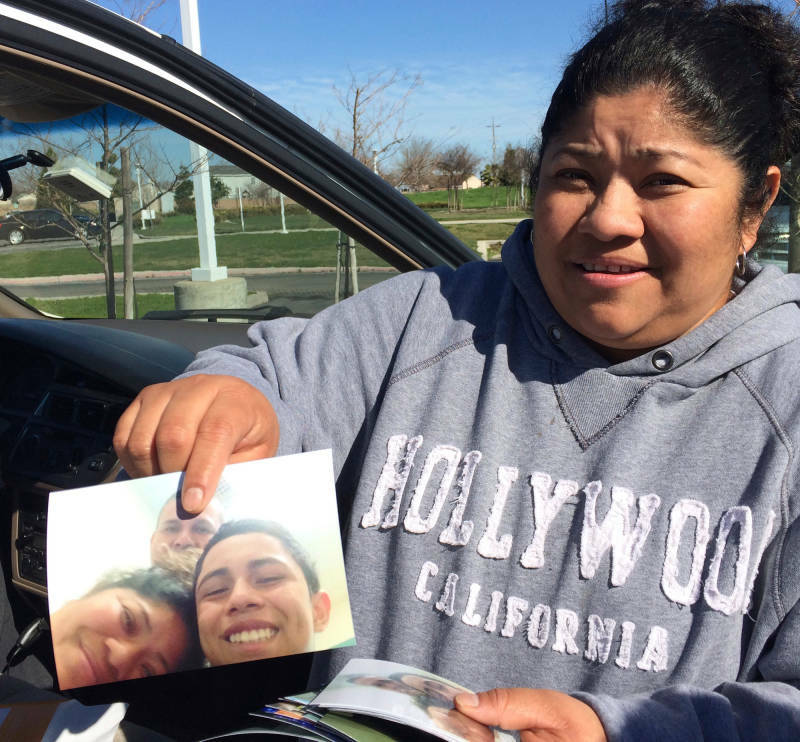 As Pablo Aguilar was waking up in his cell in Yolo County's juvenile hall in rural Northern California one recent Sunday morning, a white minivan was making its way toward him, up Interstate 5. Dawn illuminated the tomato fields across the road from the jail, but the 16-year-old likely didn't see that. The only window in Pablo's cell -- roughly 6 inches tall by 2 feet long -- was positioned so high in the cinderblock wall that he would have needed to stand on his concrete bunk to peek out. When the trio reached Sacramento, they stopped at an IHOP for breakfast before driving the last 20 minutes to the jail in Woodland. The pancake stop has become a ritual of the journey, which they make every three weeks. "We leave Los Angeles at 2 in the morning," Evelyn told me. "It's a night when we don't sleep, because of all the anticipation about seeing Pablo." Pablo has been held in immigration custody for more than 21 months. He had just turned 15 when he left El Salvador in the hope of finding a safe haven with his mother in California. He made it across the Rio Grande but wound up in the hands of the Border Patrol. That was in June of 2014. He's been locked up ever since. Pablo is one of more than 200,000 migrant kids traveling without their parents who have been detained at the U.S.-Mexico border over the past five years. He's part of a wave of Central American children fleeing violence, as criminal gangs in El Salvador and neighboring countries have come to wield terrifying power with impunity, and weak governments struggle to respond. That violence is a legacy of the civil wars of the 1980s, subsequent migrations to the United States and the deportation of gang members back to their home countries in the 1990s. When adults are picked up at the border, they are dealt with by the Department of Homeland Security. But unaccompanied children are turned over to a different agency, the Office of Refugee Resettlement, in the U.S. Department of Health and Human Services. As the number of migrant kids has multiplied, ORR's job has grown. In 2011, the agency took custody of 7,000 children. In 2014 it was 57,000. The vast majority of those kids spend about a month in a licensed ORR-funded shelter, and then they're placed with a relative or another sponsor while they await their day in immigration court. But a small fraction -- roughly 500 to 700 in any given year -- are placed in jail-like settings: locked group homes or juvenile detention facilities, as Pablo has been. Those kids are held for two to three months, on average, but, like Pablo, some are detained much longer. Advocates say they become practically invisible. Lawyers for immigrant children say kids in ORR detention don't have the legal protections they should. Many may be eligible for asylum or some other kind of protection. But half of them don't even have a lawyer. And prolonged detention can be psychologically damaging, according to child advocates. By law, children in immigration custody must be placed in the least restrictive setting that is in the best interest of the child. But they can be confined if their behavior is disruptive or dangerous, if they're considered an escape risk, if they have a criminal or delinquent history or if they're merely suspected of criminal activity. Often that information is provided by the Border Patrol or Immigration and Customs Enforcement, the agency that is handing the child over to ORR. But advocates for immigrant kids say ORR makes placement decisions behind closed doors. Evelyn says the government hasn't told her why it won't release her son. 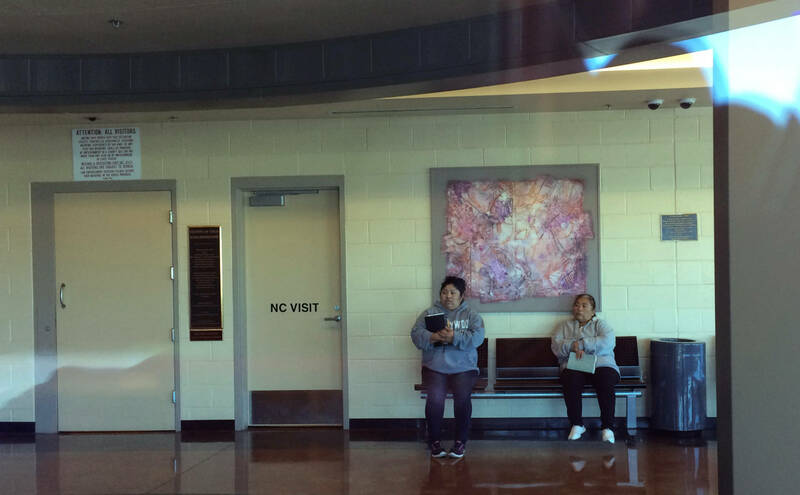 She and her mother stepped out of the minivan into the parking lot of Yolo County's juvenile hall, in sweatshirts and sneakers, a little bleary from the trip. They always arrive in Woodland early to maximize the visit. Evelyn showed me a stack of family photos she was bringing to Pablo. Evelyn told me she came to the United States a decade ago, seeing no other option to support her children as a single parent than to follow her own mother to L.A. She said she left Pablo and his older brother, William, in the care of her sister in their town of San Juan Nonualco, an hour outside the capital. She sent money to support them from the housecleaning business she built in L.A.
Red-winged blackbirds swooped along the fence row in Woodland and dogs barked at the Sheriff's Department compound next door. But Evelyn's mind was back in El Salvador. She told me about how her boys grew up with their cousins, attended a good school and played soccer. But the area where they lived grew sketchier after she left and gangs operated openly. The police were either intimidated or corrupted, she said. And teenagers were frequent targets of gang recruitment and coercion. Four years ago, something happened to William. "William was 16 when I lost him, the same age Pablo is now," Evelyn said. "One weekend I was driving to work when my sister called and said she had something bad to tell me. ... She said, ‘Here's what happened to William. The gang took him.' He was always trying to steer clear of them. But they forced him. They disappeared with him." In anguish, she added, "As a mother I have hope that one day someone will tell me if he’s alive or not. I'm still hoping." Pablo became physically sick after is brother disappeared, Evelyn told me. But she wasn't there to take care of him. Two years later, when Pablo reached high school, Evelyn said her sister told her he was not safe. So the boy headed north to avoid his brother's fate. But he never reached his mom. So, in spite of her lack of immigration status, Evelyn walks right into the jail every three weeks in order to see her child and to finally have a chance to touch him. She and Albertina would have two hours in a family room with Pablo, followed by another two hours in the "no contact" visit area, speaking by phone with a glass partition between them. Evelyn gathered up the things she can take inside the jail: the photographs, her ID and her Bible. They always start the visit with a prayer. She pressed a buzzer and spoke into the intercom. A guard ushered the women into the lobby, and waved a metal detector wand over them. I wasn't permitted to join them, so I watched through the plate glass as Evelyn and her mother disappeared through a heavy door into the jail. On another day, I got an idea of what life is like for Pablo by visiting the facility with Brent Cardall, the Yolo County probation chief. He took me in through the “sally port,” the double set of steel doors, which are locked and unlocked remotely to prevent escape. He showed me the family room, where Evelyn visited with her son. And I saw a classroom, windowless but full of books, like the one where Pablo goes to school. Then we stepped into an empty cell, much like Pablo's. It was about 8 feet by 12 feet, with a stainless steel toilet and sink, and that tiny window -- what Cardall called "your normal cell-looking type of room." "I’m really proud of our juvenile hall," he told me. "We have a lot of great things going on." He showed me murals on the walls, and talked about the volunteers who come in to work with the kids. "The facility does look like a jail, but we are trying to make it more homelike," he said. Yolo County has a $4 million contract to house up to 30 juveniles for the Office of Refugee Resettlement. That revenue helps Cardall cover the cost of general Probation Department staff. A few miles down the road from the juvenile hall is the UC Davis law school. Professor Holly Cooper runs the immigration law clinic, and she and her students are working to gain Pablo's release. When I visited, law students were drafting legal briefs, case notes spread across conference tables. The files for another immigrant kid, a 2-foot-tall stack of paperwork, teetered beside Cooper's computer. Cooper has devoted much of her career to minors in immigration custody, and her office walls are covered with artwork made by detained children. She told me Pablo has been transferred around the country by ORR so many times that no pro bono lawyer has had a chance to build a case for his release until now. "He’s been in McAllen, Texas, he’s been in Miami, Florida, he’s been in Virginia, he’s been in Portland, Oregon, and now he’s out here in California," she said. Pablo has been housed in the Woodland facility since September. The government did appoint a so-called child advocate from the nonprofit Young Center for Immigrant Children's Rights to speak up for Pablo’s best interests. Cooper showed me the group's recommendation: three times last year the advocate sent letters to ORR arguing that Pablo be released to his mom, or at least placed in a less restrictive shelter nearer Evelyn's home. But ORR hasn’t acted. And Pablo is still locked up. The crux of the problem, say Cooper and other advocates, is that ORR makes decisions at internal meetings about where children are placed and whether they’re released. And ORR doesn't recognize courts as a place where children can challenge their detention. The upshot is that kids like Pablo, who have not been charged with a crime, can be jailed indefinitely. "Without any judicial or third-party oversight, ORR is both the jailer and the person who decides whether the kid is getting out," said Cooper. "That’s a really dangerous power dynamic that is developing." The "secure" and "staff-secure" lockups may indeed be the right placement for some children. But Cooper and other lawyers say there's no way to know without an open proceeding. They note that adults in immigration custody have more access to due process, because they have the right to go before an immigration judge to contest their detention and request release on bond. Children do not. 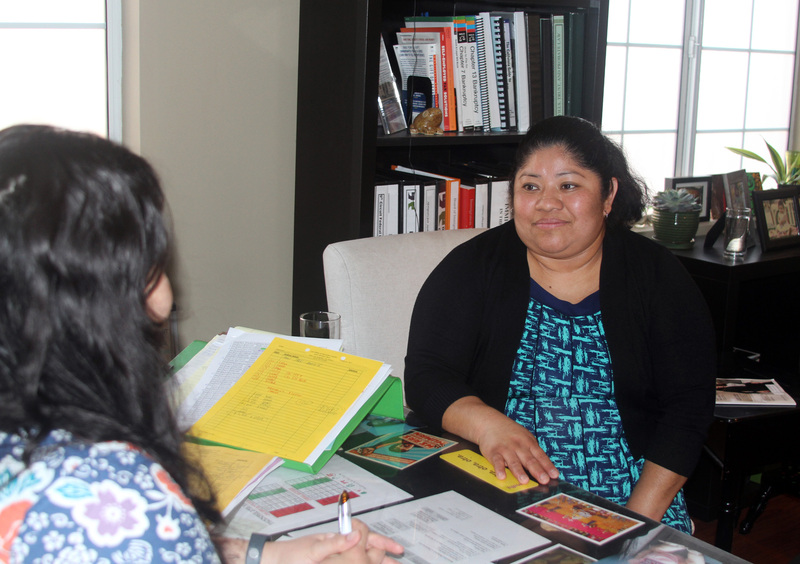 In addition, says Jessica Jones, policy counsel at Lutheran Immigration and Refugee Service in Washington, D.C., children in other types of legal proceedings have more of a voice than kids in ORR confinement do. "What is so disturbing about this whole process is that unlike the juvenile justice system, where you have the involvement of the child’s attorney and the child themselves, they are completely left out of the process," said Jones. "The child may have a parent in the country and they are often completely left out of the decision-making process. ... ORR should do better by children and be meeting basic child welfare standards in care." Carlos Holguin, of the Center for Human Rights and Constitutional Law in Los Angeles, is charged with monitoring the government’s treatment of minors in immigration custody, as part of a two-decade-old legal agreement known as the Flores Settlement. Most advocates believe ORR is a better custodian than in the old days, before 2002, when detained migrant children were held by immigration agents. But Holguin, Jones, Cooper and other advocates around the country want better. They have been meeting with ORR officials, arguing for more transparency. "The process itself is completely opaque," said Holguin. "Most times there's no written decision at all. There's great delay before the decisions are actually released. And there's no opportunity for the juvenile or the proposed custodian to review the evidence that the federal government is relying on to maintain the juvenile in custody." After three months of requesting an interview, I finally got to speak with the person who oversees ORR’s unaccompanied children's program: Bobbie Gregg, the deputy director for children’s services in the agency. Gregg emphasized that the safety of children is her first priority. She said all children are assessed when they first arrive, and every 30 days that they’re in custody. The agency monitors the physical health and mental health of children and provides them with a legal orientation. And it posts its policies on its website in detail. But when I asked Gregg about the lack of a system for children to challenge their detention, she told me instead about how parents or others who have been turned down as sponsors can appeal that decision to higher-ups within the agency. In Evelyn's case, there's nothing she can appeal, because ORR has still not made a decision on her fitness as a sponsor for Pablo. "The sponsor can make a request for information about the reason for the decision and can appeal from that decision," said Gregg. "With respect to the child him or herself, children are kept informed through their case managers." ORR has been in hot water in recent months after a number of cases where officials failed to screen sponsors properly and children were released to labor traffickers rather than relatives. That scandal led to Senate hearings, an investigation by the Government Accountability Office and a series of reforms at ORR to tighten the vetting of sponsors before releasing children from custody. I asked Gregg about how a kid like Pablo could be detained for 21 months and bounced around the country between so many facilities. "I can’t speak to any particular child," Gregg told me. "But for each child we’re making determinations based on the least restrictive setting for that child, taking into consideration that particular child’s safety, the safety to the community as well as the risk of flight." What does it mean for a kid to be locked up for almost two years, with no clear idea why they're being held or for how long? Holly Cooper, the UC Davis law professor, says one of the toughest things for kids in ORR detention is not knowing when they’ll be released. She said she's also seen the pain caused by giving kids false hope. "It’s an indefinite custody," she said. "And when you start telling kids, 'You’ve been recommended for release. Your parent can come get you. Next week you’ll be out. Tomorrow you’ll be out,' and it doesn’t happen? We’ve seen that that can be very psychologically harmful to the kids." That's what happened to another teenager Cooper and her students are representing: Rafael Armenta. Rafael's case is a little different. His mother brought him to the U.S. from Mexico as an infant, Cooper said, and he grew up in Southern California. In middle school, she said, he got involved with a rough crowd and ran afoul of the juvenile justice system. He served a sentence (the family doesn't want to talk about the details) and then, had he been a U.S. citizen, he would have been released. But Rafael, who's 16, is undocumented, so he was put in deportation proceedings and handed over to ORR. Over several months the agency kept suggesting Rafael could be released to await his deportation hearing. Then officials backtracked over the holidays. A few weeks later, though, there was another reversal. In February, Rafael was released from the detention facility in Woodland. His mother and some cousins arrived to collect him, after making their own all-night drive from Southern California. 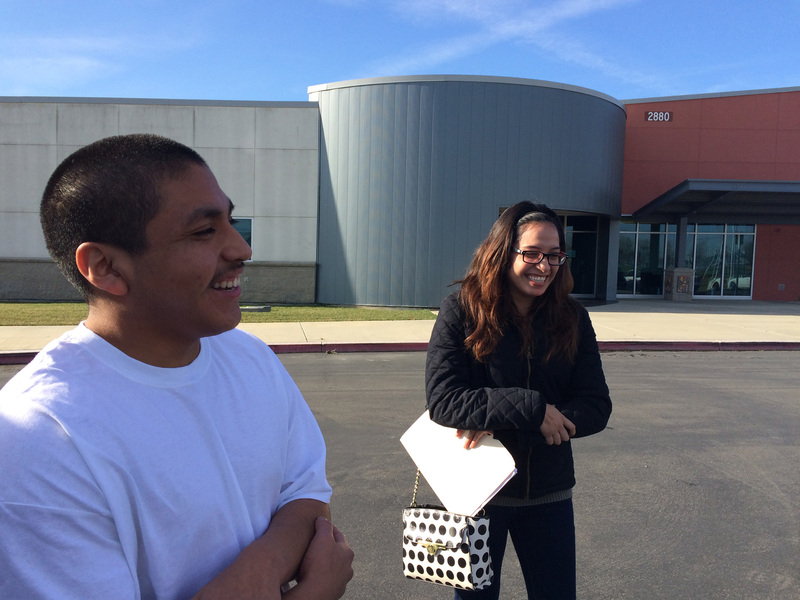 He hugged his mom for the first time in seven months and walked out of the juvenile hall into the winter sunshine. There in the parking lot, wearing a crewcut and a dazed smile, Rafael told me how good it felt to take off the jail uniform -- khaki shorts and a brown T-shirt -- and put on his own T-shirt and jeans. "I thought this day was never going to come," he said. "But it came." I asked him what it felt like to be told repeatedly that he could go home and then to hear that he could not. "I had a bad reaction to that," Rafael said. "I’d go in a room and just do some inappropriate things, like hit the wall and stuff like that." We talked a little longer, but Rafael was anxious to go. So he and his mother and his three cousins piled into the family car, and headed home to Orange County. In the weeks that followed, Rafael would reacquaint himself with his younger brother and sister and enroll in high school, where he hoped to stay clear of trouble. He said he had covered so much coursework in detention that his teachers told him he'd be going in as a 12th-grader. Holly Cooper and her law students would keep in touch and help him fight to stay in the U.S. legally. Cooper told me she has seen kids who have harmed themselves, including cutting themselves, in response to the powerlessness of indefinite detention. 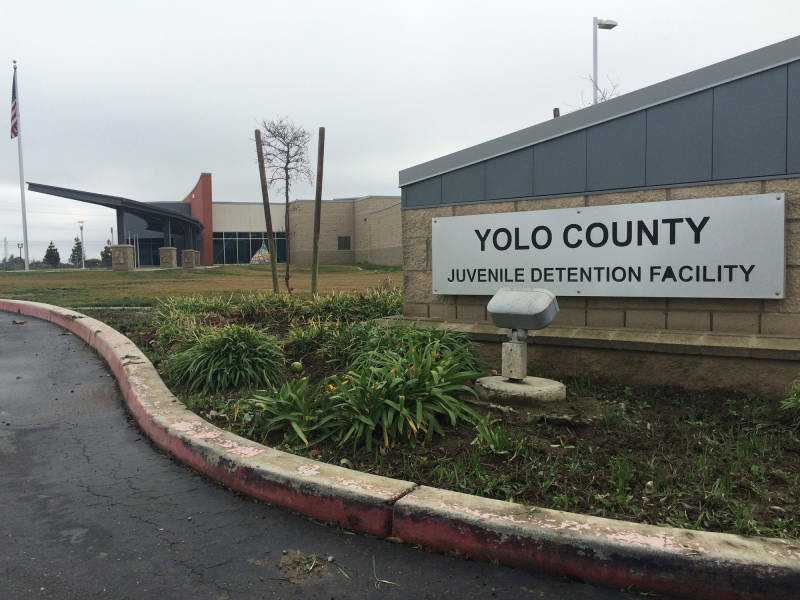 An official at the Yolo County juvenile hall said that they routinely have kids on suicide watch. Juvenile justice experts say ORR’s secure detention may not be intended as a form of punishment, but it is punishing by nature. Barry Krisberg, a criminologist at UC Berkeley and an expert in juvenile detention, said that's especially true for children who have been through traumatic experiences already. "The consequences of secure detention are generally quite bad," said Krisberg. 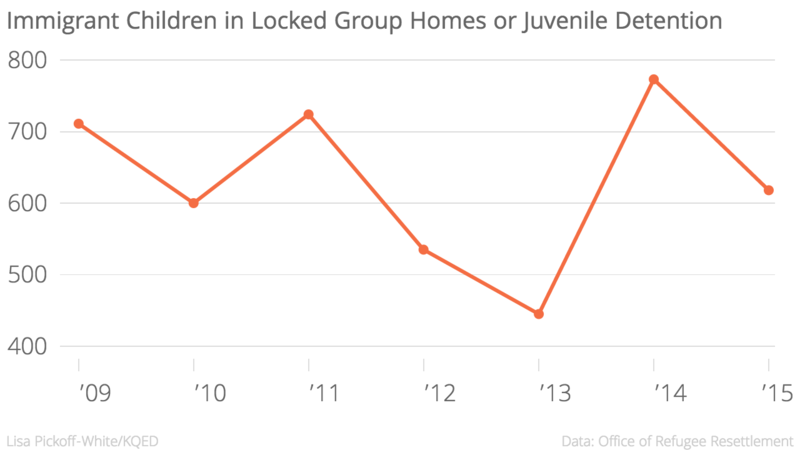 "Increasingly what we understand is that secure custody -- and it doesn't really matter whether it's staff-secure or there's razor wire on the outside -- is a toxic experience for youth." I asked Bobbie Gregg at ORR if she was concerned about the psychological toll of prolonged detention. "We’re very mindful that this is a special population with special needs," she answered. "Having said that, we’re also very mindful of our responsibility as their custodian while they’re in care." The afternoon was almost gone when Evelyn and her mother emerged from the juvenile hall in Woodland. Pablo was glad to see her, she told me, and happy to get the photos. With no end in sight to Pablo's confinement, they rely on faith to keep going, she said. But it’s not easy. Listen to the full Reveal episode above with an extended version of this story. "I’ll be honest: I walk out and part of me is still inside," she said. "I want to take him with me. I want so badly to take him with me…. I go, and half of me leaves but half of me stays here." Evelyn would return in three weeks’ time. She and her mom and her friend Mario would drive through the night, 400 miles up the length of California. And she’ll keep coming back, until the day when she gets to take her son home with her. This story was reported in collaboration with the public radio program Reveal: from The Center for Investigative Reporting and PRX. You can hear an extended version of this story and subscribe to the Reveal podcast here.